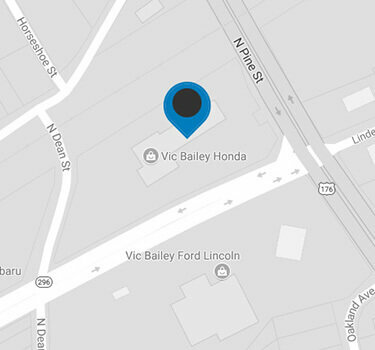 Vic Bailey Honda is taking the hassle out of buying a new car. Every new vehicle that we have in stock is clearly marked with two prices. The first price is the MSRP (manufacturers suggested retail price). The second price is our no-hassle price. Vic Bailey’s no-hassle price represents the best price in the market. We can say this with confidence because we have shopped the competition for you! We search the market daily to find what others are paying for their new Honda and make every effort to price our vehicles below what they have paid. No surprises either. Our no-hassle price includes: factory destination charges, our Vic Bailey Honda Protection Package, and all Vic Card benefits. It excludes state sales tax, title, and license fees. All of this allows you to buy your new Honda with confidence knowing that you are getting a great deal without the need to fight for it! Not quite the right one? Click here and let us find it for you!